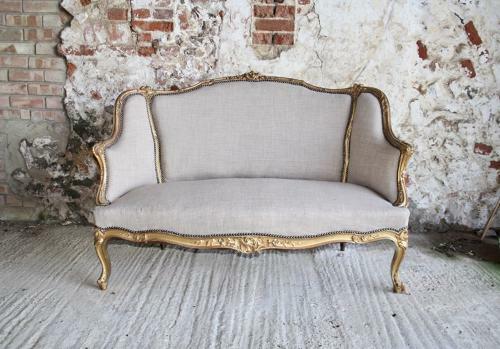 Very pretty French salon canapé sofa. Gilt frame and new linen upholstery. 1930s.